A food trip to New Brighton – that’ll be all fish and chips and ice cream, yes? Well no. Not necessarily, anyway. 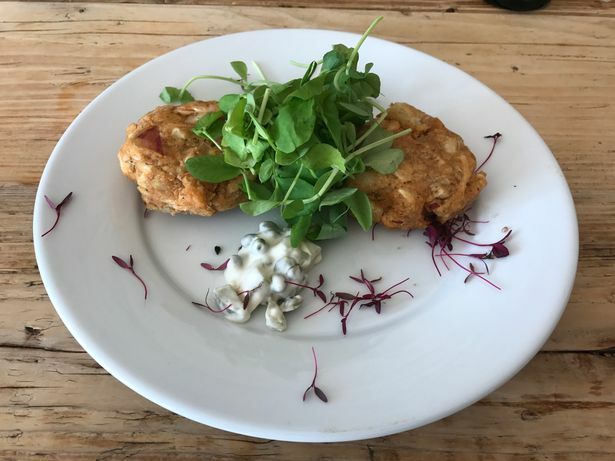 Cafe bar Blackberry Grove, between the station and the sea , has always tempted me and my vegan wife M with its vegan-friendly menu. 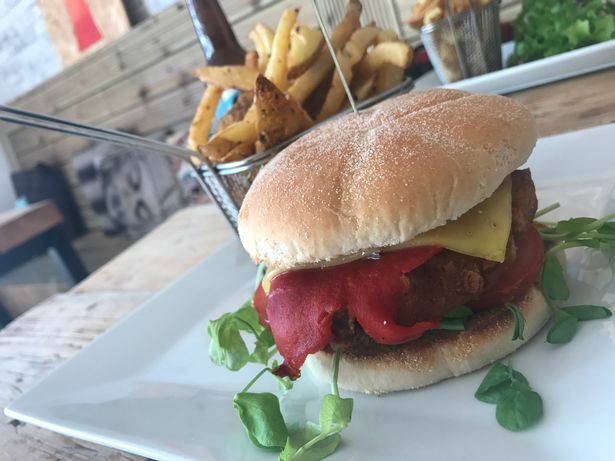 So why not try a vegan visit to the seaside? Blackberry Grove sits just off Grosvenor Road, perched between the Perch Rock pub and a kebab house. It’s a monochrome exterior, all black walls and white windows and signboard, and in keeping with its black and white logos. And inside it’s a white-walled but still warm and welcoming place, with art on chipboard dotted about. It was gloriously bright and sunny when we visited, but given this summer’s forecasts you’ll be pleased to hear it should be cosy under grey skies too. There’s also a cosier back room, with wallpaper of animals in suits in picture frames, if that’s your bag.